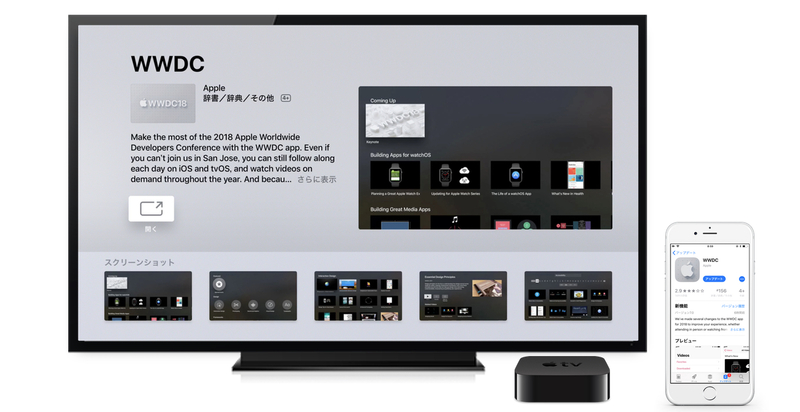 Apple、WWDC 2018に対応した「WWDC v7.0 for iOS/tvOS」アプリをリリース。 | AAPL Ch. New topic-based organization of videos, sessions, and labs. 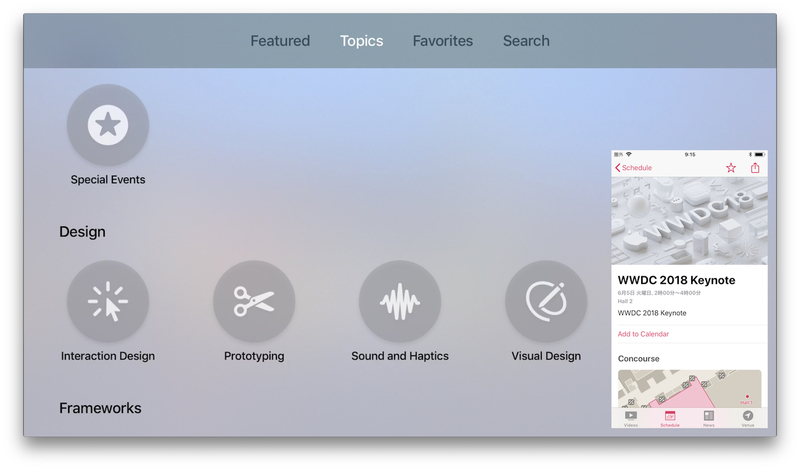 Significant redesign to make it simpler to find favorites, downloaded videos, sessions, and labs. Access to resources, documentation, sample code, and related content. Listings of related sessions, labs, and videos.